Hello All, I added a new measurement that will help residents understand the Rad. The Rad is with us all 24/7 constantly. It never goes away. It is better to know what the Rad level is than to not know. Colorado Springs, Colorado is number one in the US right now having endured 49,407,637 Gamma CPM, or Counts per Minute, since January 1, 2017. Everybody and everything in the States absorbs a certain amount of the rad every minute. The total Rad number People are exposed to determines how much you absorb; now and in the past. … and the Rad is always Cumulative. Everybody absorbs the Rads, the number a person gets varies. The more Rad people get, the quicker they sicken and die. It is just that simple … and the Rad is a forever thing. I’m doing Year to Date Stats on 98 US cities including Tokyo, Japan for comparison purposes. 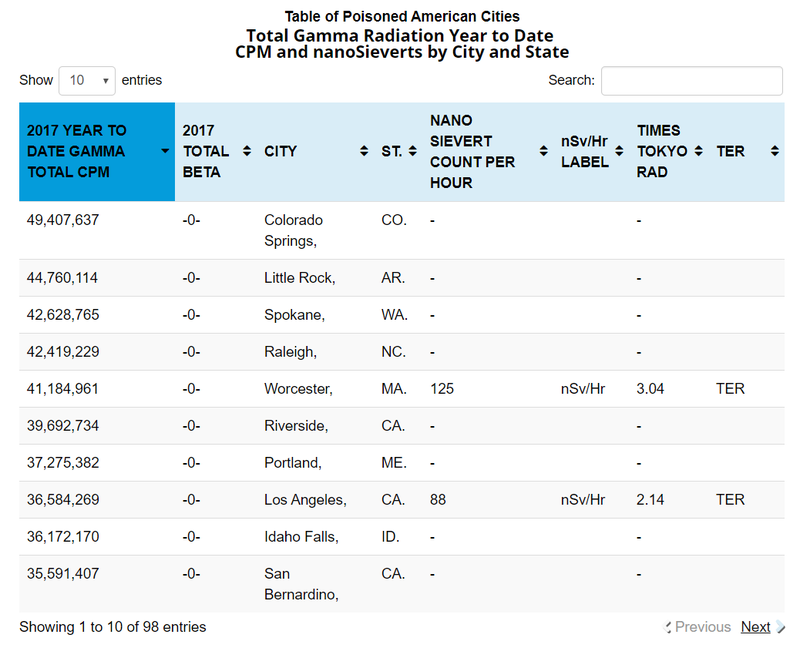 The US cities running directly Comparable Stats, nSv/Hour, are ahead of Tokyo on all the Rad counts. Damn, but it is the truth. Unbelievable, eh? That was a real Bummer to discover. But the more than 1,000 detonations on the States’ land and 100 plus always leaking reactors guarantee that. No surprise there. The government has known it all along. The Rad leaking from the Reactors is as predictable as rain in Hawai’i on the rainy side. It’s just Amazing how well the proNukers lie with a straight face as they knife us in the back. To the Gallows with them, after a fast and proper trial, of course. We want to do things all legal like. READ THE ENTIRE ARTICLE HERE, including the entire TABLE OF POISONED AMERICAN CITIES. ….. Have a wonderful radioactive weekend and remember to Dodge the Rads, it’s dangerous out there. Bob Nichols Said WHAT Else About Your Radiation This Week !?! SIGN UP NOW FOR PERIODIC EMAIL UPDATES TO YOUR RADIATION THIS WEEK.ORG and to the #YRTW YouTube Channel. WE ARE THE MEDIA NOW and for that WE ARE RESPONSIBLE. Posted in: "Know Your Rad Number! ", Follow on Twitter @YourRads, Fukushima, Total Gamma Radiation 2017.2 YEAR-TO-DATE USA, YOUR RADIATION THIS WEEK . 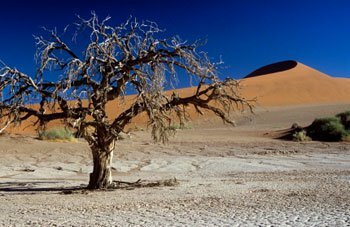 ORG | Tagged: "..ELE is an acronym for “Extinction Level Event.” I believe the amount of Rad in the air Now Dooms Humanity to a quick Extinction. I can’t say it any plainer than that....", "Have a wonderful radioactive weekend and remember to Dodge the Rads, "Have a wonderful radioactive weekend and remember to Dodge the Rads - it’s dangerous out there! ", "Look up your city or a city near you on a RadNet Rad Monitor right away. Know your Rad Number! ", Colorado Springs - Colorado, CPM, CPM nanoSieverts by City and State, it’s dangerous out there., On the Road to Extinction, Radioactive Isotopes, Raleigh - North Carolina, TER - Tokyo Equivalent Rad, Tokyo Japan, TOTAL GAMMA RADIATION 2017.2 YEAR-TO-DATE USA | RADS ACROSS AMERICA - VIDEO, USA, we are the media now, Where's the BETA?, Year to Date Radiation Measurement by City is a First for Bob Nichols and VT.